Coffee percolators were once the preferred way for many people to make coffee, but their popularity began to wane as newer automatic drip coffee makers were introduced. However, they never really went away, and in fact, they are becoming more popular than ever before. And there’s a good reason for its sudden increase in popularity. 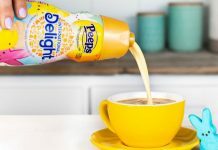 When you make coffee in a percolator you can expect to get a stronger cup of coffee, but it doesn’t have to be the bitter concoction that many of us remember our grandparents’ brewing in their old fashioned percolators. To show you just how great a cup of coffee these machines can make, we’ve listed ten of the best models currently available, along with a guide on how to use it properly. When 20-cups of hot, fresh coffee is desired, then this coffee percolator is ready to deliver. It’s made of rustproof aluminum and doesn’t weight a whole lot, so it’s ideal for camping trips. Its body has a durable feel to it, but its glass bubble on top does feel a bit flimsy. Having said that, this model is safe to use, is easy to clean and heats up coffee in no time flat. It also comes with a durable metal filter basket. Whether you want to make percolator coffee in your home, in your RV or at your campsite, you are going to want a model that works well and can stand up to daily wear. This is a model that can do both of those things. It’s made out of aluminum, so it’s lightweight but also durable as well. It comes with not only the pot but also the fit basket and a screen filter as well. And although it spherical knob tends to cloud up during use, this model does make a 9-cups of great coffee. Manufactured with borosilicate glass and BPA-free polypropylene basket, lids and stem, this glass percolator is ready to make 8 5-ounce cups of coffee. This model can be used on electric, ceramic or gas stovetops and comes with a metal heat diffuser for best results. Although it doesn’t feel as durable as metal models, it does brew a nice pot of coffee, and the whole unit is top rack dishwasher safe. All of which makes it a good percolator. This quality model is made from high-quality 18/8 stainless steel, so it feels more durable than some of the other aluminum models. However, it’s also a little bit heavier and costs a bit more than these other models. Having stated those facts, however, doesn’t detract from this product’s effectiveness. It makes up to 12-cups of coffee, heats up quickly and can be taken just about anywhere quite easily. IT can make coffee at home, at the campground or in an RV without any problem whatsoever. This 500-watt steel percolator is ready for some serious coffee making fun. Although it’s not a stovetop model and instead, has to be plugged into a standard outlet to operate, it does manage to reach temperature quite quickly. It’s only capable of making up to 6-cups of coffee, but it is made out of high-quality stainless steel. It has a detachable cord, a ready-to-serve indicator and has a drip-free spout for convenience. It’s a modern percolator that’s designed for a modern lifestyle. Although this percolator only makes 6-cups of coffee and has a plastic knob, it’s still a pretty decent model. it’s made out of polished 18/8 stainless steel, which not only makes it durable but allows it to heat up quickly as well. It also has a Permawood handle that doesn’t heat up and is ergonomically designed, so it’s easy to pour. And since this product is dishwasher-safe, it can be easily cleaned on a daily basis. This percolator is made from stainless steel, and it has a mirror finish that makes it look very attractive. This model is also equipped with a permanent filter basket that works decently enough, even though it lets through more coffee grounds than it really should. 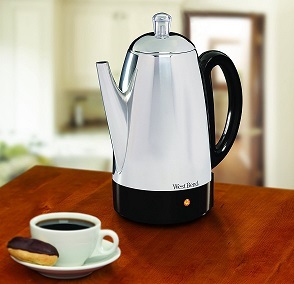 This percolator also has a lid which seals tightly, a clear top knob that allows for percolation viewing, and it has a handle that always stays cool. Overall, its a good model for just about any home. Although this 12-cup percolator costs a little bit more than other models available, it is made with quality components and with an eye towards design. It’s made from stainless steel that’s been polished to a mirror finish, so it is not only durable but also looks nice, too. It also has a permanent filter basket that eliminates paper filters and a non-reactive interior that won’t retain nasty tastes or odors. This model is also dishwasher safe and is easy to use. This quality percolator from Farberware is not only fairly inexpensive, but it also feels like a quality model. Although its glass top knob doesn’t feel very durable, the rest of the percolator is made using stainless steel. This product has a sleek design and is capable of making up to 8-cups of coffee at a time. It has a permanent filter basket, has a stay-cool handle that never gets hot and the whole unit can be washed by hand or in the dishwasher. Anyone who takes a good hard look at this percolator knows that it’s a quality model. It’s made with absolutely no plastic or aluminum and is only made with high-quality 18/8 stainless steel. It has a glass cover knob, which feels very durable, and it’s capable of making up to 12-cups of coffee. This product is easy to clean, easy to use and can be taken virtually anywhere. All of which makes it one of the best percolators available. Unfortunately, coffee percolators have received somewhat of a bad rap over the years. Many people associate them with coffee that’s burnt or over-extracted, but that doesn’t have to happen. Although the retro percolators likely used by your grandparents were well known for creating over-brewed coffee, the modern ones are much better at making coffee. Especially when you use them in the right manner. The whole reason for us writing this guide is to help our readers reacquaint themselves with this little bit of coffee tech, so they can brew a cup of coffee no matter where they are. If you look above this article, you’ll see ten of the best percolators that are currently available. Although each one of them has its own pros or cons, any one of them is capable of making a decent pot of coffee. 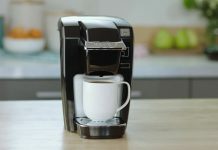 Using one of these models, you should be able to extract the full flavor out of your coffee—something that just can’t be done with an automatic drip coffee maker. So, grab yourself one of them and let’s do some coffee percolating, shall we? 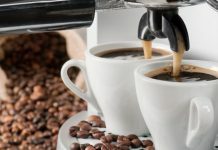 The reason why so many people have an unfavorable view of percolators is that they’ve tasted cups of percolator coffee that was brewed with the wrong type of coffee. Yes, there are right and wrong types of coffee for use in a percolator. For example, light coffee roasts are not good for use in a percolator because they can lose their flavor too quickly. You also shouldn’t use dark roasts coffee either because those can become bitter in the percolator. If you want the best flavor, you are going to want to buy a medium-roast coffee for the best coffee flavor possible. It’s also important to make sure that you use the right grind of coffee. You should definitely avoid finely ground coffees because they will end up not being properly extracted. If you want to get the maximum flavor out of your percolator coffee, then you are going to want to use a coarse grind. A coarse grind will provide the necessary surface area for flavor extraction and won’t fall through the percolator’s filters like other grinds may do. Although all types of coffee brewing benefits when purified water is used, it’s especially important for brewing coffee in a percolator. If you start off with high-quality water, then you are going to get the best tasting coffee possible. And that’s always a good place to start when brewing coffee. Okay, now that we have all of the necessary components gathered together, it’s time to use our stove top percolator. Fill the bottom of the percolator with water and place it on your heat source. When the water begins to boil, add your coarse-ground coffee in the unit’s internal metal filter basket. Now, hears the part that everyone neglects: be sure to reduce the heat. You don’t want the percolator to run at full speed like a locomotive because you’ll end up with coffee that is over extracted. Instead, you’ll want heat and gravity to work together to make your coffee. Let it cook along for about 6-minutes and then remove it from the heat. Let it sit for approximately 60-seconds, and then pour yourself a cup. If you like the strength of the brew, then you can move on to step 5. However, if it’s not strong enough, the next time you’ll know to go for a little bit longer. Continue adding time in 1-minute increments until the coffee is the strength you need it to be. Another trick to getting great percolator coffee is to not leave it in the percolator. Instead, when it’s done, then you’ll want to move it into another container. Whether that’s a tea kettle, a pot or some kind of decanter is up to you. Just be sure that you don’t leave it in the percolator. As you can clearly see, brewing coffee in a percolator can be a rewarding experience. Modern coffee percolators are better than they’ve ever been in the past and if they’re used properly, they can create some of the best-tasting coffee you can imagine. So don’t believe all the naysayers and allow yourself to enjoy the simple pleasure of percolating your own coffee. You won’t be sorry if you do. Coffee percolators are making a big come-back and can be a great way for any home to make coffee.